Top notes reveal sparkling touch of pink champagne, fresh and slightly fruity, the perfect symbol of a NY party. The heart is revealing peach tree blossom accord which n provides a dose of sophistication to the composition. The base performs with sensual and soft woody notes. 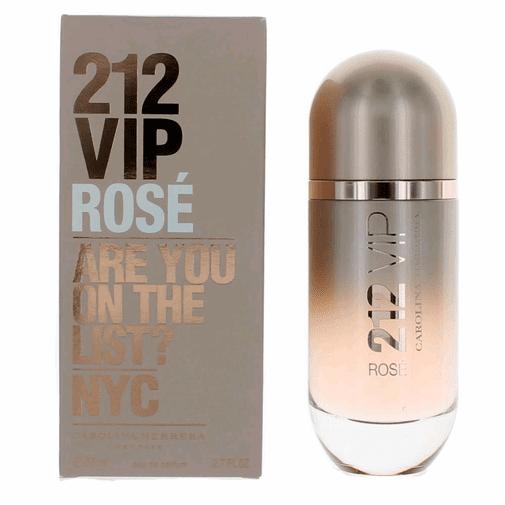 212 VIP Rose was launched in 2014.